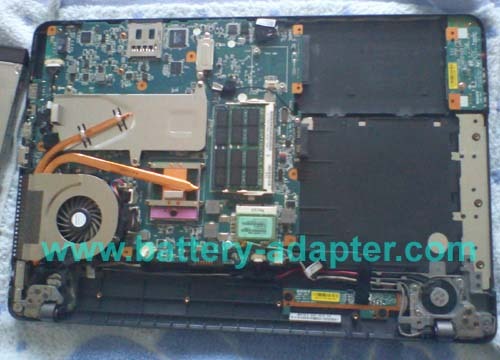 In this guide, the disassembly laptop is Sony Vaio VGN-NW18H. Fist of All, please shut down your Sony Vaio VGN-NW laptop. Disconnect the AC adapter and remove the battery. 1. 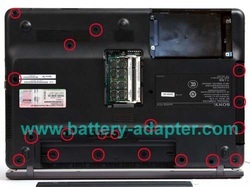 Turn the Sony Vaio VGN-NW laptop upside down, Unscrew the three screws marked in the picture. 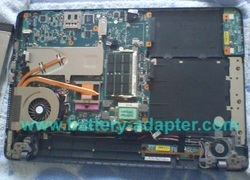 Then remove the Memory cover and HDD cover. 2. 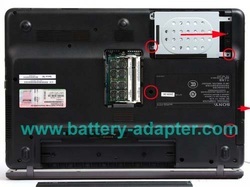 Remove the two screws securing the HDD, move the HDD to the arrow direction and remove it from the bay. 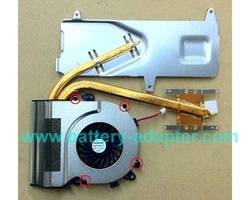 Then remove the two screws securing the ODD, after that, pull out the ODD. 3. 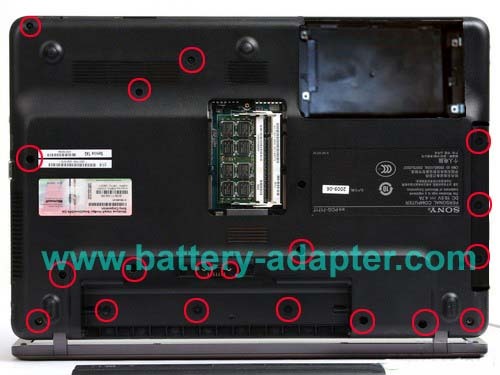 Remove all the screws you can see on the bottom of the laptop. 5. 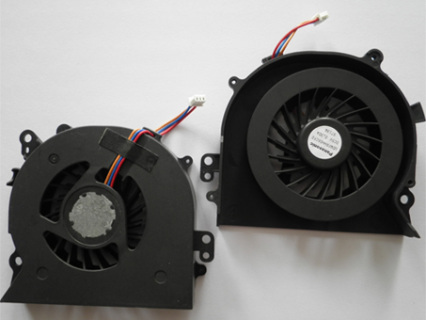 Loosen the two screws securing the fan and unplug the fan cable. Loosen the seven scres securing the heat sink. 6. Remove the fan assembly. 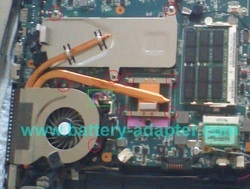 Unscrew the four screws as shown in the picture. 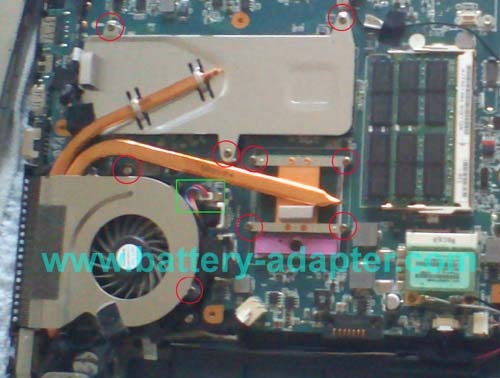 Reverse the procedure to install the new Sony Vaio VGN-NW fan. Don't forget to add new thermal grease before you fix the heatsink. If you want to disassemble the keyboard. 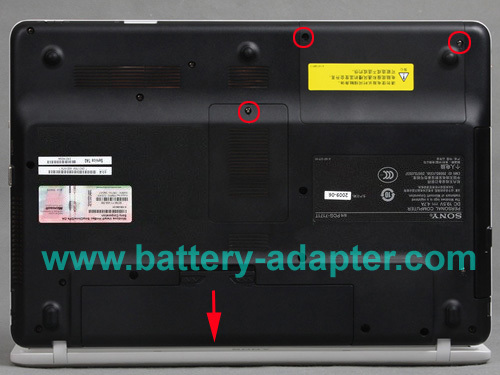 You can find another post How to Replace Sony Vaio VGN-NW keyboard.